Ingredients (Drinks and Bee Products) API's Original Special Ingredients(Honey)｜API Co., Ltd.
Every year we go overseas to carefully check large volumes of honey and select only the best for our products. With our strict quality control system, we apply our skills and know-how to the entire process from ingredient selection and manufacturing to distribution in order to provide safe, reliable products. 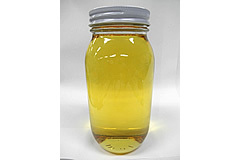 A specially processed, clear honey. Without the cloudiness caused from proteins, this honey is perfect for products that have the unique taste and aroma of honey. 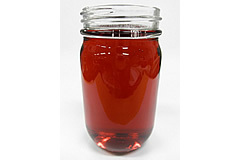 This honey is used in soft drinks, jellies and liquid seasonings. 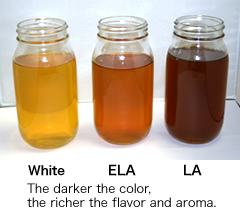 We refined this honey to remove its color and odor. It is used as an ingredient for soft drinks. We also manufacture pharmaceutical-grade honey that meets the standards for use in medicines. PHM-45 is powdered honey containing 50% real honey. 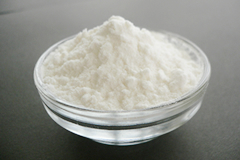 The powder is ultrafine and easy to use.Perfect for mixing, the powder is used in confectioneries, breads, powdered soup and powdered beverages. 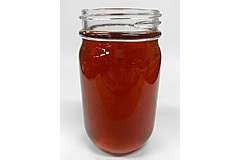 Honey goes great with many different kinds of fruits. As opposed to other sweeteners, honey serves to offset the acidity of fruits, giving them a milder taste. Made with a variety of fruits, API’s delicious and healthy fruit honeys are made to suit consumer tastes. Honey blended with the juice and rinds of lemons. 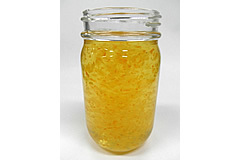 Honey blended with the juice and rinds of oranges. A well-balanced mixture of the sweet aromas of European strawberries and honey. A perfect harmony of sour blueberries and sweet honey. A sweet-and-sour honey syrup infused with pomegranates. Popular with our female customers. 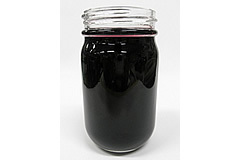 API offers a variety of premium honeys from around the world. 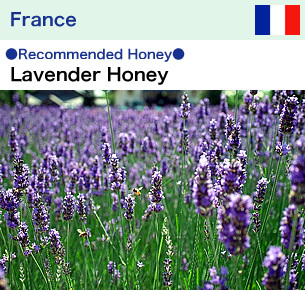 A high quality honey from the vast lavender fields of Provence. Enjoy the well-loved fragrance of lavender. 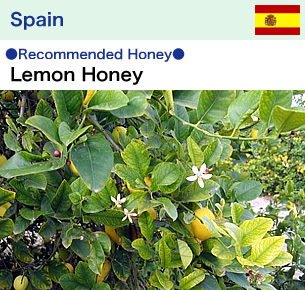 Spain is one of the world’s biggest lemon producers. 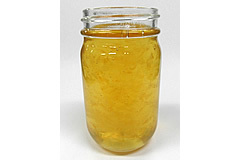 This honey collected from lemon tree flowers has a tangy, rich flavor. Hungary is an agricultural powerhouse blessed with natural resources, and acacia forests can be found in every part of the country. 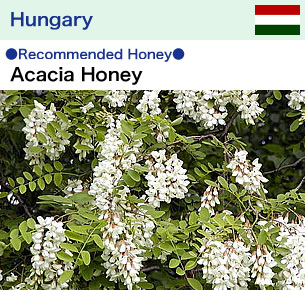 Acacia honey has a pleasant aroma and just-right sweetness. 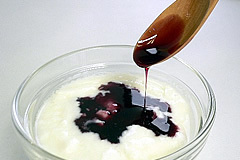 Its high fructose content prevents it from crystallizing easily. 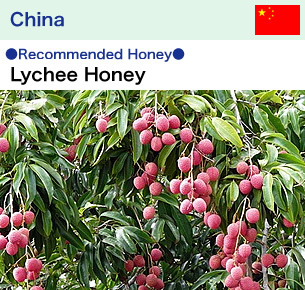 This honey comes from lychees, the favorite fruit of Lady Yang (one of the world’s three legendary beauties), and is known for its fruity aroma and subtle flavor. 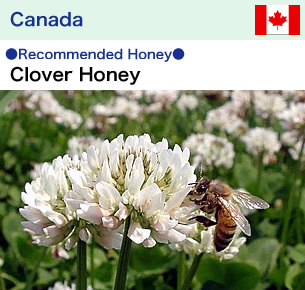 A simple and refreshing honey from the sprawling meadows of Alberta. 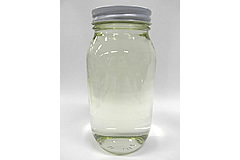 Its high glucose content allows it to crystallize easily. Mexico is the fourth biggest orange producer in the world. 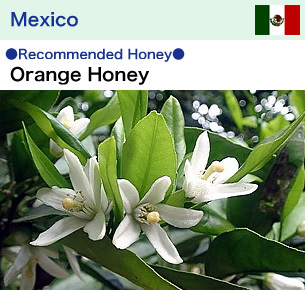 This spectacular tasting honey comes from Veracruz, where half of Mexico’s oranges are grown. Argentina is a major beekeeping country and the world’s second largest exporter of honey. 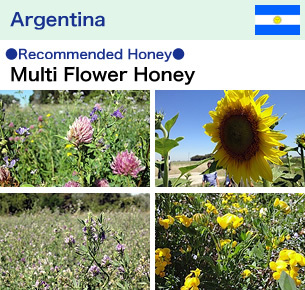 This honey comes from an assortment of flowers in the Pampas, a huge grassland area near Buenos Aires. 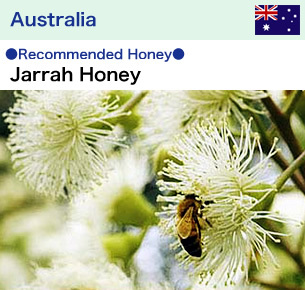 Hailing from the safe, clean farmlands of Western Australia, this honey is a premium honey that can only be obtained once every two years from the flowers of the jarrah, one species of eucalyptus. It has been found to have a high antibacterial effect.